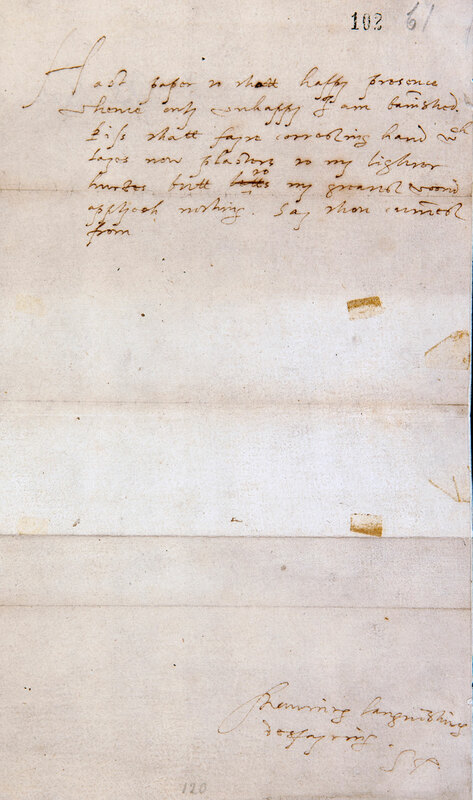 At the time of writing this letter, Essex had been banished from court for his actions as Lord Lieutenant of Ireland. Despite leading the largest expeditionary force ever sent to Ireland, he failed to crush the rebellion and eventually made terms with its leader, Tyrone. He also overstepped the bounds of his authority by conferring numerous knighthoods on his officers. The Irish rebels joked that ‘he never drew sword but to make knights’. Despite pleading for forgiveness from the queen who had held him high in favour for many years, he would never again enjoy her good graces. Frustrated by his loss of power, he staged a badly organised rebellion and was executed in February 1601.